Since 1987, REAL Trends has been the trusted source in identifying the country’s largest and most successful real estate agents and brokerages ranked by closed transaction sides and separately closed sales volume. * More about REAL Trends. 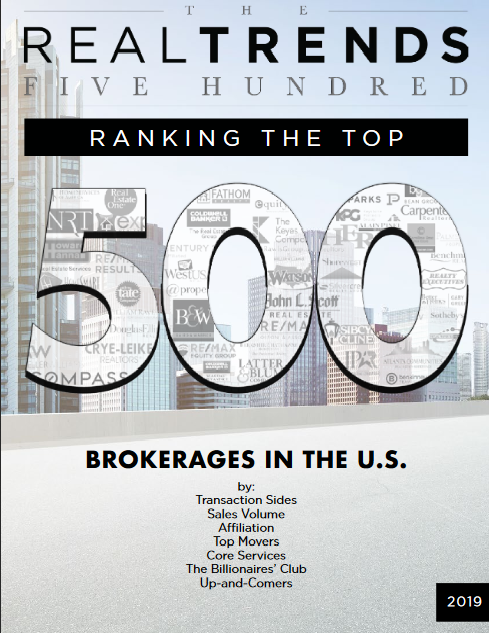 Last year, RE/MAX On the River conducted more than 500 transactions, placing us on the Up & Comer list for the 2019 REAL Trends 500 report. This is a significant accomplishment – and we are very proud. With 559 out of 1,757 qualifying brokerages, RE/MAX represented nearly a third of the spots in the Real Trends list.